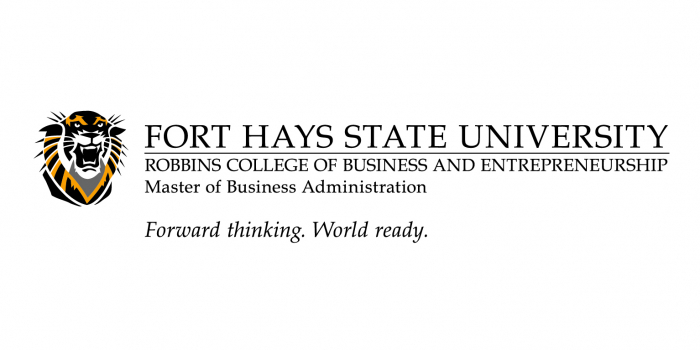 We recently had the pleasure of chatting with Dr. Melissa Hunsicker-Walburn, Interim Dean of Robbins College of Business and Entrepreneurship at Fort Hays State University about Fort Hays State University's impressive online MBA program offerings. Our online MBA program allows students to take advantage of all the benefits of a traditional on-campus program with the convenience of flexible, online instruction. The majority of our online MBA students have a part-time or full-time job, with the average years of experience being 10 years. Students learn with other students from across the globe who bring a wealth of diverse, real-world experience to the classroom. We have physicians, managers, active duty military, accountants, pharmaceutical representatives, entrepreneurs and other professionals currently in our program. Students at FHSU have the option of working 100% online, on campus or a combination. FHSU MBA students have the flexibility of working at their own pace. Some are full-time students, while others are part-time students. Some students may be full-time one semester and part-time the next. How do FHSU students interact and network with each other and build community? With small class sizes, students network within their classes. Some classes include group simulation exercises or projects, which encourages students to network and establish relationships with other students. In addition, the FHSU MBA program has a private LinkedIn group available only to FHSU MBA current students, faculty, and alumni. Students are also invited to attend the annual Tea Up for the Semester event various on-campus receptions. Many of the big events are recorded for online students who are unable to attend in person. Congratulations--FHSU’s accolades are numerous, consistently being ranked high for affordability, and a “Best Buy”. What does FHSU do to consistently enhance your offerings? The FHSU MBA Committee is focused on continuous improvement. They are student-centered and place student success and retention as a high priority. Faculty attend conferences, participate in webinars, and generate ideas from each on how to enhance offerings. FHSU offers 12 concentrations to your online students, what is the most popular concentration for online students? Based on our previous academic year, our general concentration, finance concentration, health care management concentration, and human resource management concentration were at the top of the list. The faculty who teach in our online program also teach the on-campus courses. Online students interact with faculty through our online course management system, email, Skype, and phone. Students can take advantage of the rich history of a well-established, face-to-face MBA program, with all the benefits of online learning. Students enjoy small class sizes (25:1) and learn on their schedule, not ours. Students work closely with their advisor to tailor their program to fit their needs and career goals. We have 12 concentration areas to best suit the professional and personal goals of our students. Students can choose from a concentration in Finance, Health Care Management, Sports Management, Human Resource Management, Information Assurance, International Business, Leadership Studies, Management Information Systems, Marketing, General MBA Studies, and Tourism and Hospitality Management. FHSU MBA students can take advantage of career placement assistance and career counseling for a lifetime through the FHSU Career Services office. FHSU’s Online MBA is an excellent option for veterans. How does FHSU accommodate the unique needs of our nation’s vets? FHSU offers military programs and benefits for both active and veteran military personnel and their spouses. Our Virtual College has been a success with the military because we offer a university education that fits your life. To top it all off, FHSU keeps their promise with student services ranking among top in the country. MBA students can seek advice from our Virtual College Military Student Success Specialist at [email protected]. Whether you choose to earn an MBA for professional advancement or personal enrichment, consider the Fort Hays State University MBA. The FHSU MBA offers high quality instruction from full-time faculty and affordable, competitive tuition with an online program that allows campus to come to you. Our core curriculum covers all key aspects of modern business theories and practices, while our concentration courses allow you to focus on an area that best suits your professional and career goals.